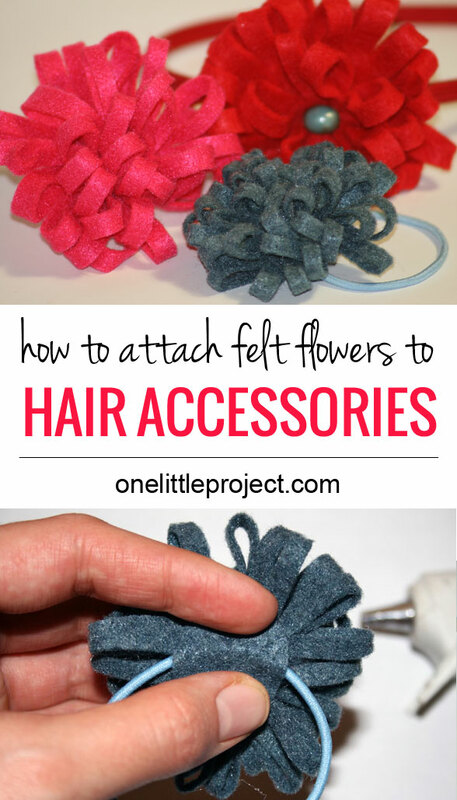 Yesterday I showed you how to make felt flowers in my Simple Felt Flower Tutorial. 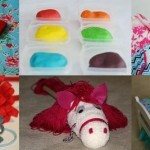 As promised, I experimented with how to attach them, and here is what I came up with! 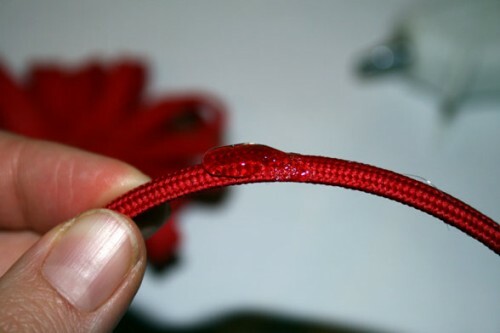 I was checking out the flower elastics when I was at the Bonnie Togs store last week, and this is kind of along the same lines as the flower elastics that they sell. Except I didn’t have to pay $5.95 for it! 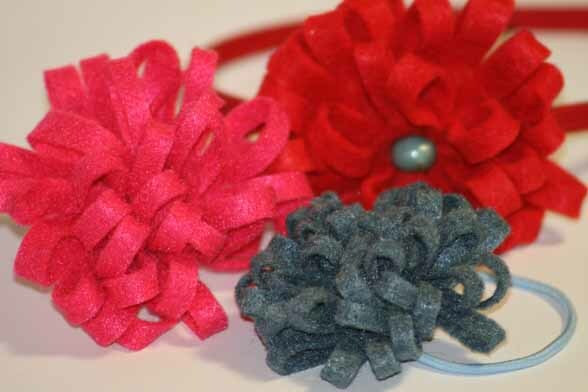 a felt flower from yesterday’s tutorial, a pair of scissors, a piece of felt, a glue gun, an elastic, and a needle and thread. 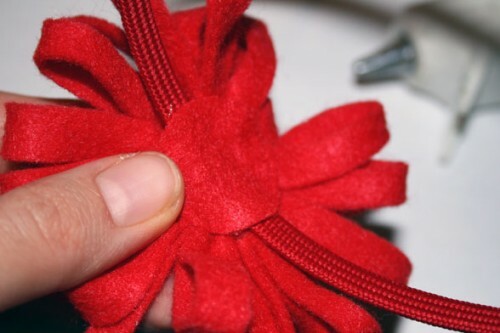 Step 1: Sew the elastic to the felt flower. 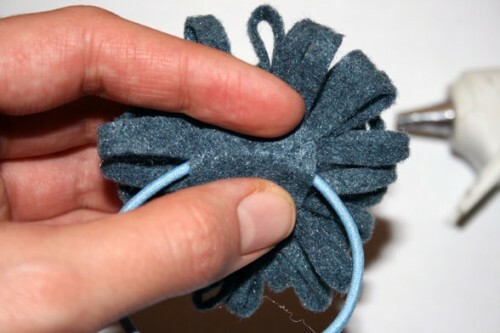 Step 2: Cut a piece of felt roughly the same size as the back of the felt flower. 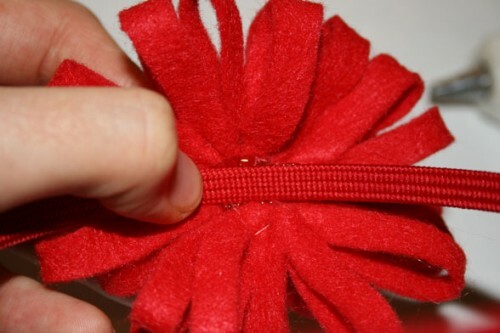 Step 3: Add glue to the back of the felt flower. 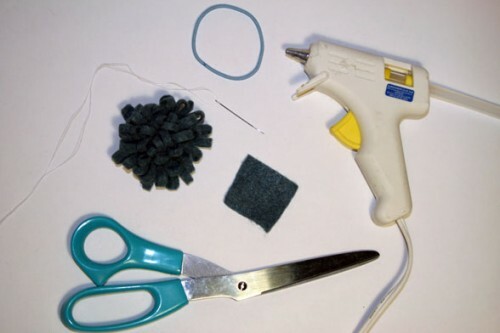 Step 4: Press the felt over top of the glue and elastic. Okay… this one is pretty easy. 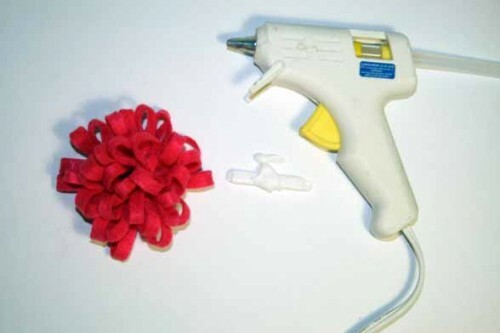 You’ve gotta love a glue gun! 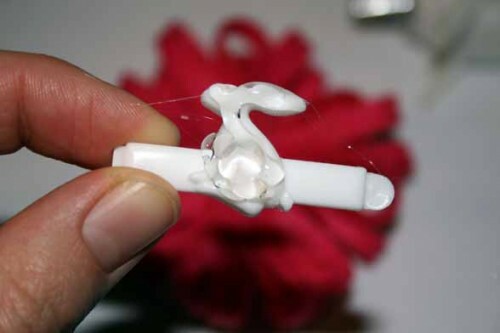 Step 1: Cover the top of the barrette with glue. 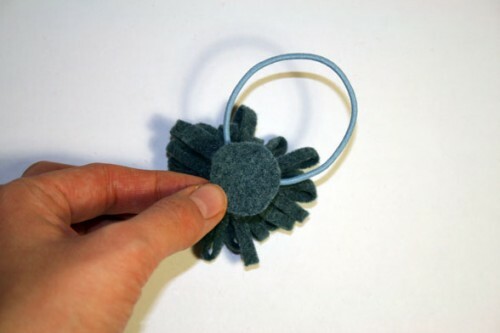 Step 2: Press the barrette to the back of the felt flower. 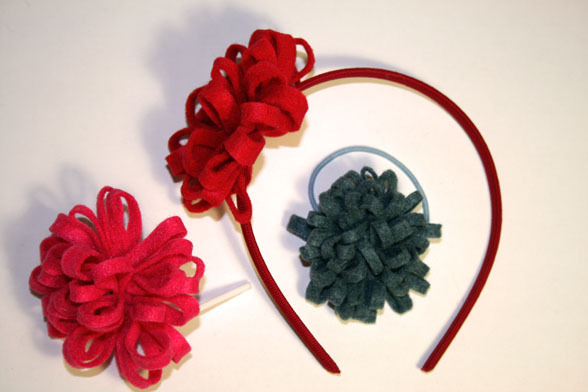 I picked these hairbands up at Walmart for $4 for 5. 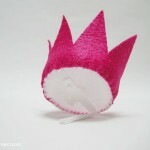 Leah’s head is still a little bit too small for a hair band so it kind of fits more like a tiara, which is super cute! a felt flower from yesterday’s tutorial, a pair of scissors, a piece of felt, a glue gun, a hair band, and optionally, a needle and thread (I was going to sew the felt flower around the hair band to secure it, but I decided the glue was holding up well enough, so I didn’t end up using it). 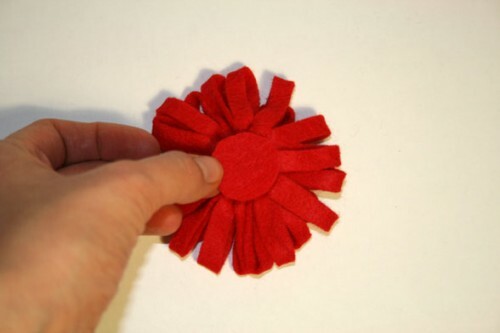 Step 1: Cut a piece of felt roughly the same size as the back of the felt flower. 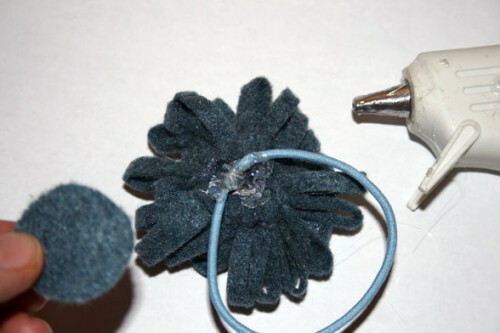 Step 2: Add a glob of glue on the hair band where you plan to attach the felt flower. 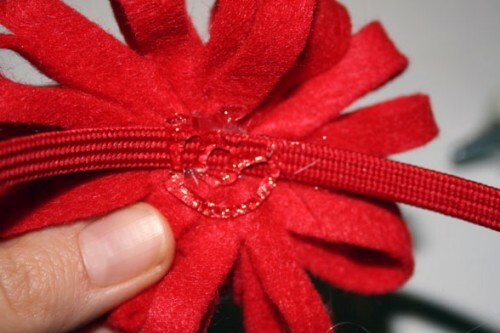 Step 3: Press the felt flower onto the glue. 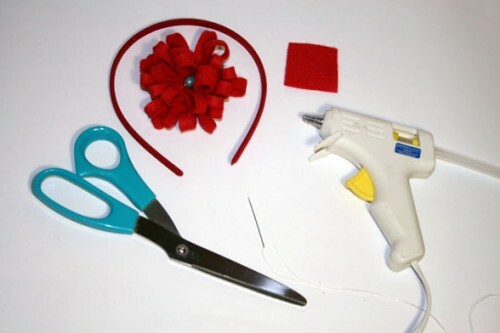 Step 4: Add more glue over top of the felt flower and hair band. 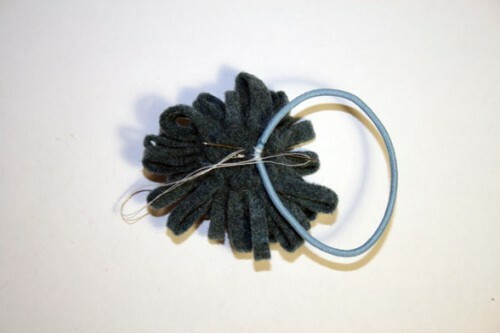 Step 5: Press the piece of felt over top of the hair band. All in all, I’m pretty satisfied with the results! 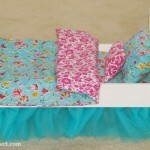 I can’t wait for Leah to wake up tomorrow so I can try them on her. 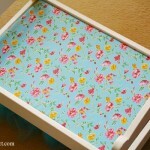 I knew there was a way to make these felt flowers useful!